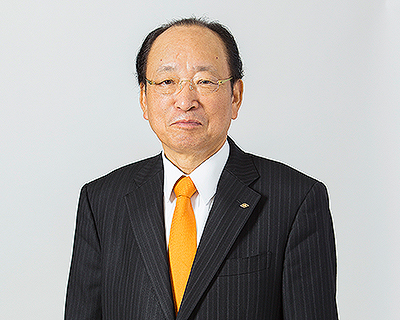 Message from the Representatives - HANWA Co., LTD.
Hanwa supplies a broad spectrum of products, including steel, non-ferrous metals, food, fuel, chemicals, lumber, machinery and many other items, to an equally diverse range of customers. Since our inception, we have based operations on the mission of serving our customers as "distribution specialists." Year after year, we have used specialized skills and an extensive service network to meet customer's needs with precisely the right solutions. This skill has earned Hanwa a reputation as a trading company where customers know they can place their trust, in return receiving outstanding products and services. As markets become increasingly global, companies in all industries are facing increasingly heated competition in Japan and around the world. The more rapid the pace of change, the more diverse and complex the needs of our customers become. We respond to these demands with value-added products and services, highly specialized ideas, and other forms of support. This allows us to function as each customer's "best partner" in creating solutions for specific issues. Adhering to this approach is why we can offer trading company logistics with a difference. The sincere advice and support of all stakeholders forms the basis for all our activities. We place great value on every customer relationship along with the accompanying opportunities. As we pursue more growth and progress, we will retain our devotion to contributing to society by performing functions that are unique to Hanwa while serving as "a trading company known for outstanding footwork."